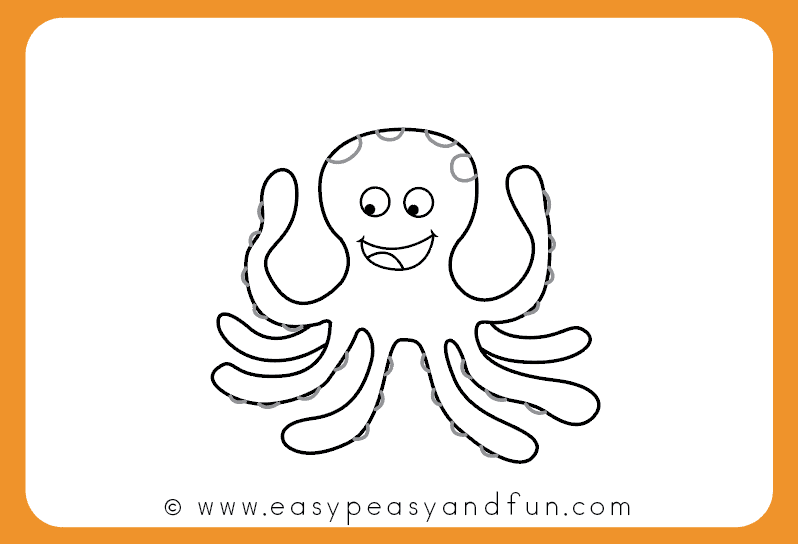 This tutorial will show you how to draw an easy cartoon like octopus in just a few steps. 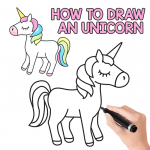 Grab our printable and learn how to sketch one of your own wherever you want. 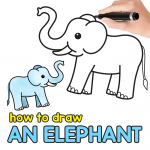 Our step by step tutorials make drawing for kids easy peasy! 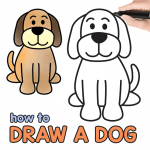 Clear step by step images will guide you from the first stroke to the end character, which will always (we hope) turn out great! 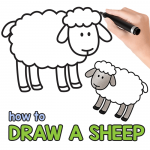 To make the drawing process easier, and also classroom friendly, there’s always a sheet with all the steps you can print (you can find it at the very end of the tutorial) and give to your kids, or to use yourself. 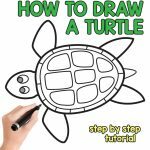 If you want to draw a fun ocean scene, why not also grab our how to draw a turtle tutorial, or for a bit of fierceness – the shark drawing tutorial. 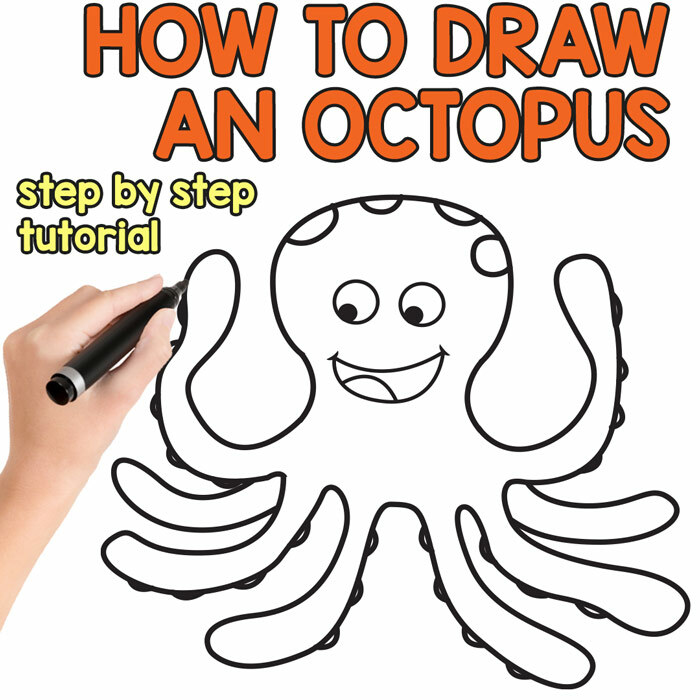 This is one of the easiest way you can draw an octopus! Even the 8 tentacles, that can be a bit tricky to draw sometimes will be easily managable. 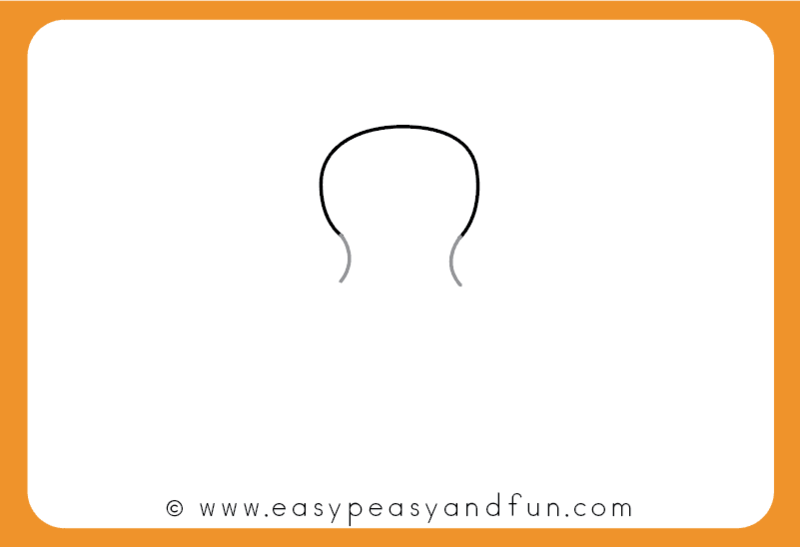 Start by drawing the head. 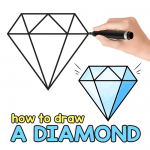 Draw an inverted U shape, with the open ends rounded in to the inside. Or as you would also call it a horse shoe shape. 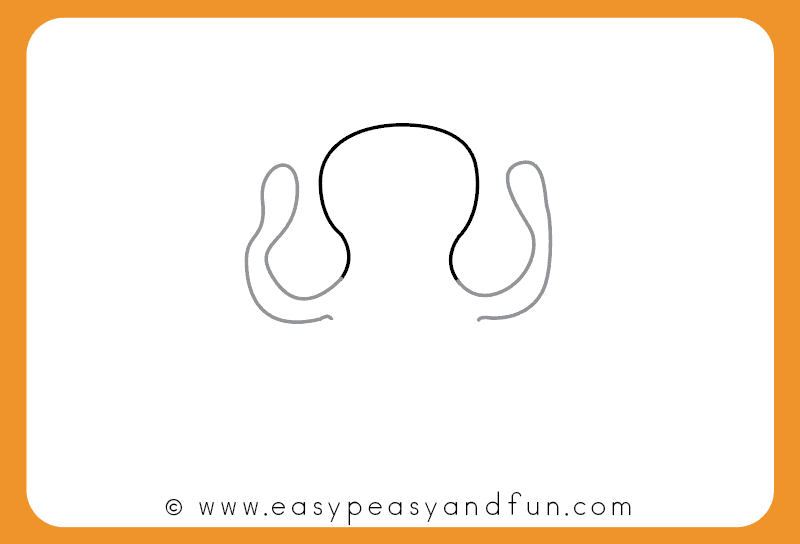 Continue shaping the head – starting from the end of the U shape, draw a bracket shape on each side. See this is really easy! Here comes the first pair of octopus tentacles. 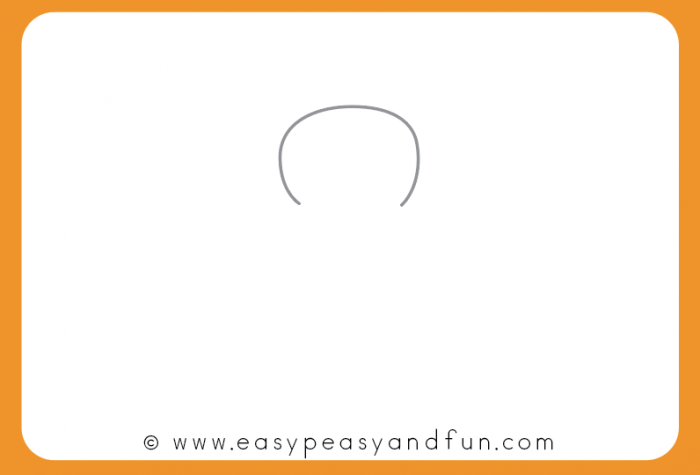 Continue from the end of the bracket shape and draw the first tentacle. 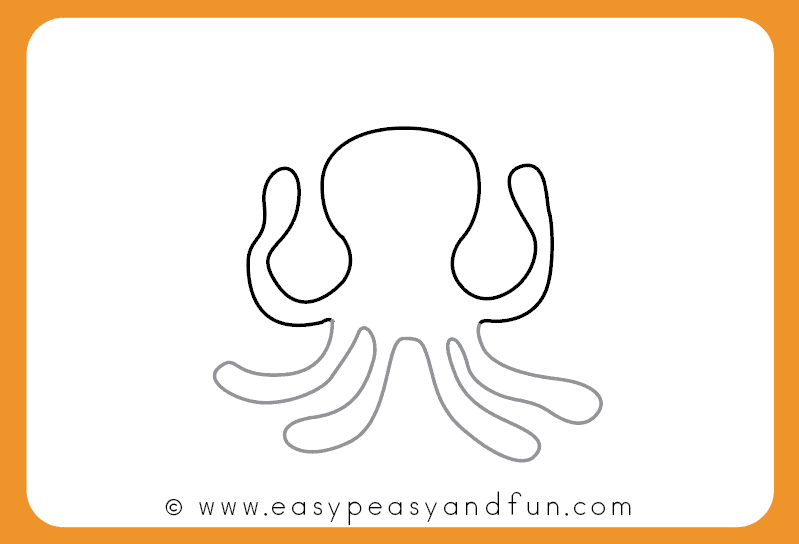 Have both of the tentacles pointing up – this will leave enough space to draw all the others. We are moving forward pretty fast! You’re almost there! Now draw 4 more tentacles. Only two tentacles left! 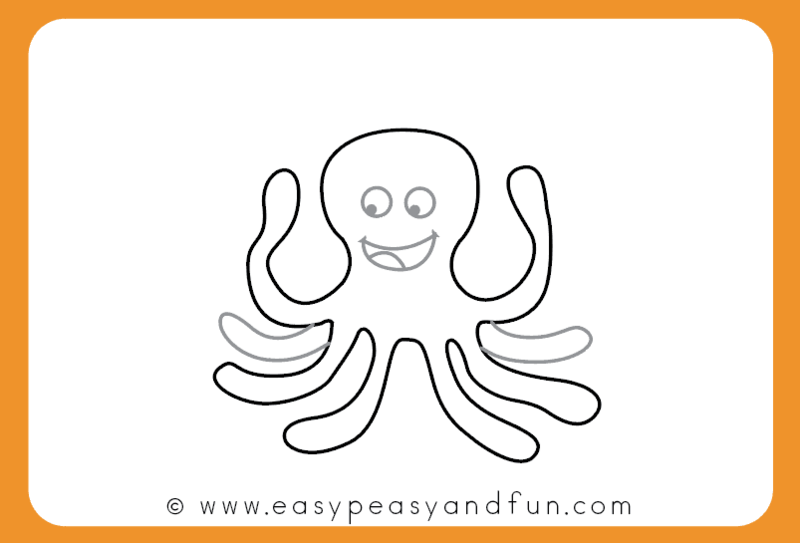 Draw these two between the first pair of tentacles, and the 4 others you drew. Also draw the eyes and the mouth. Or just eyes if you are going for a more realistic look. 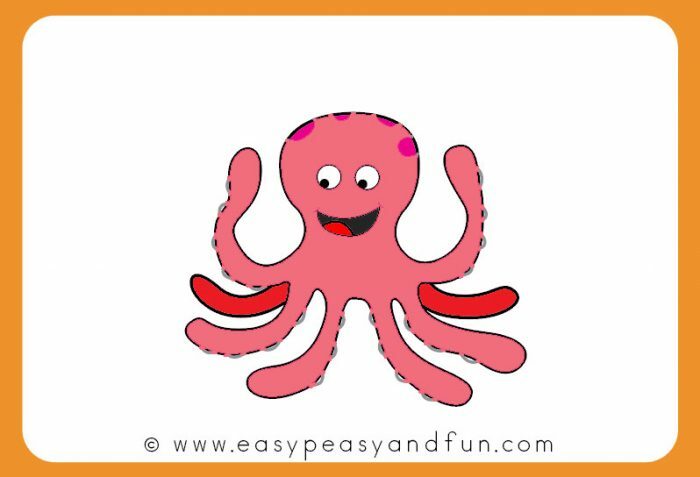 All there is left to draw are the finishing details – the suction cups on the tentacles an maybe a spot or two on the head. Color with your favorite colors.